Place watermelon cubes in single layer in 1-gallon resealable freezer plastic bag; freeze 8 hours. Let stand at room temperature 15 minutes. 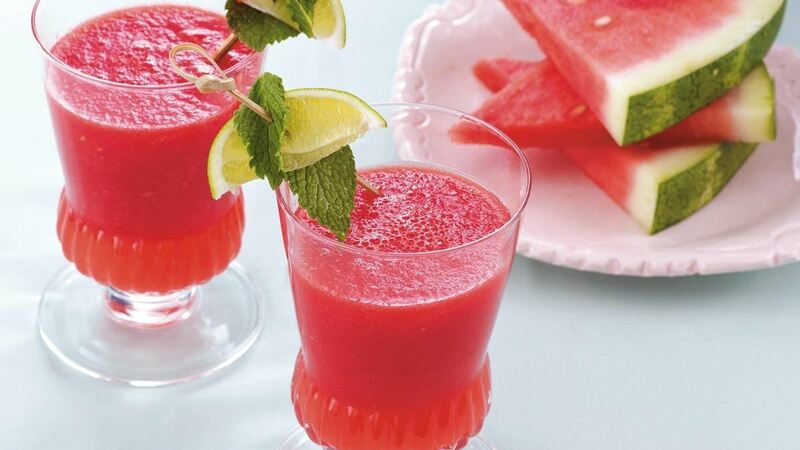 In blender, place half each of watermelon, ginger ale, water and limeade concentrate. Cover; blend on medium speed until smooth. Pour mixture into pitcher. Repeat with remaining ingredients; stir into mixture in pitcher. Serve immediately.